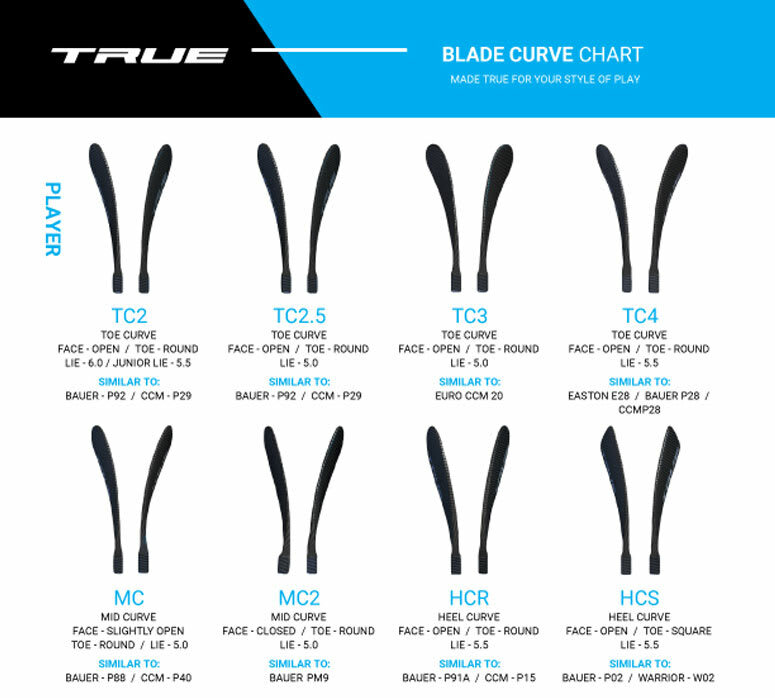 Coming in as the most affordable price point in the all new A Series line of composite stick from True, the A1.0 SBP composite hockey stick is designed for budget conscious players who are looking for the performance benefits of a one-piece stick. The A1.0 SBP composite hockey stick has BRT+ technology for increased strength and feel, all coming with a lighter package. Axenic technology was used during the build process to create a true one-piece composite hockey stick. The SmartPly process was used to create the perfect marriage between weight, balance, and industry-leading impact strength. The weight of this stick is as follows: Senior 515g, Intermediate 500g, Junior 410g. The swing weight of the senior model is 765. Weight: 490 Grams Weight of the product measured in grams. Length: 56 Inches Length of the product measured in inches. Measured Product: TC2 Curve 58 Flex The specifications of the product used to measure weight and length. Blade Construction: BRT+ Type of material the blade is made of. Family: A Series The product line within the brand.